VI reggae trailblazers Midnite is back with yet another album with acclaimed U.S. production trio Zion I Kings – Zion High Productions, I Grade Records and Lustre Kings. Midnite is known for being prolific and I believe the upcoming Ride Tru album will be their third in 2014 and the second with Zion I Kings. They worked together on Beauty for the Ashes, which was released about ten months ago. Ride Tru drops in December and you can check its initial single Credited below. The reggae scene in the Virgin Islands has grown a lot over the past ten years and is today a powerful force on the global reggae arena. VI trailblazers Midnite are pioneers, even though reggae has been played on the islands since the 70s. Midnite’s socially conscious and take-no-prisoners style of roots, with extremely sparse arrangements and a dreader than dread approach, has paved the way for loads of other artists and bands from the Virgin Islands, including Bambú Station, Pressure, Army, Dezarie and Reemah. French production company Reggaescape has produced a documentary about the roots movement in the Virgin Islands. Escape to St Croix VI dives deep into the culture, the history and the musical movement. It features music and interviews with several key artists and drops on September 15. Multi-facetted Virgin Islands born singer and singjay Pressure is back with a new album following Coming Back for You, produced by Dean Pond and released in 2009. On The Sound he has teamed up with the mighty Zion I Kings, a trio of producers including Tippy I, who also hails from the Virgin Islands. 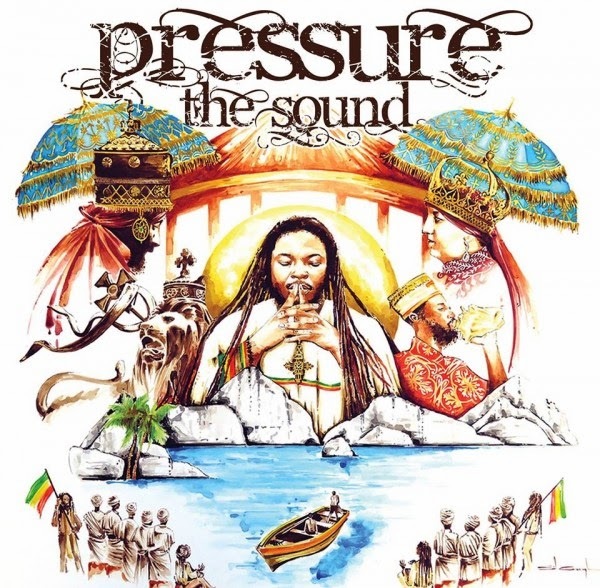 The Sound is Pressure’s fourth album and is his best to date. It includes the usual sweet arrangements and backing provided by Zion I Kings, but a few of the cuts are dark and edgy, for example Herbsman Town, Serious About It and Who You Are, a track that also offers a taste of wobbling dubstep. The Sound is a family affair and a host of Pressure’s fellow countrymen flex their skills on a number of songs. Ras Batch and NiyoRah show up on Cry for Humanity and Volcano shares vocal duties with Pressure on Herbsman Town. And no other than Midnite’s lead singer Vaughn Benjamin can be heard on Nothing No Wrong. The Sound exemplifies the strong roots and culture scene active in the Virgin Islands and even though Pressure delivered a strong set together with Don Corleon in 2007, The Sound outshines his previous material and will hopefully strengthen his fan base. VI reggae trailblazers Midnite is back with a new collaboration with I Grade Records. It’s their seventh album release together and the first since the acclaimed Rule the Time, released in 2007. On Beauty for Ashes the very prolific Midnite also teams up with the mighty Zion I Kings production team. And as usual the result is sublime. For me, Midnite’s weak point has always been melodies, but the on this album Midnite and their producers have taken the song writing and production to a new level. This 13 track set even includes something that can almost be described as sing-a-long choruses. Just listen to album opener A Reminder. Maybe not sing-a-long like Coldplay, but probably as close as you get with a band like Midnite. The album was recorded in both Jamaica and in the Virgin Islands. It collects several rolling and thunderous bass lines as well as Vaughn Benjamin’s dread and eerie chanting-styled singing, a style that might be an acquired taste. It’s raspy and can be a bit monotonous and non-melodic. Beauty for Ashes is brighter and more uplifting compared to the bulk of their previous albums. The soundscape is dense, deep and hypnotic as usual. 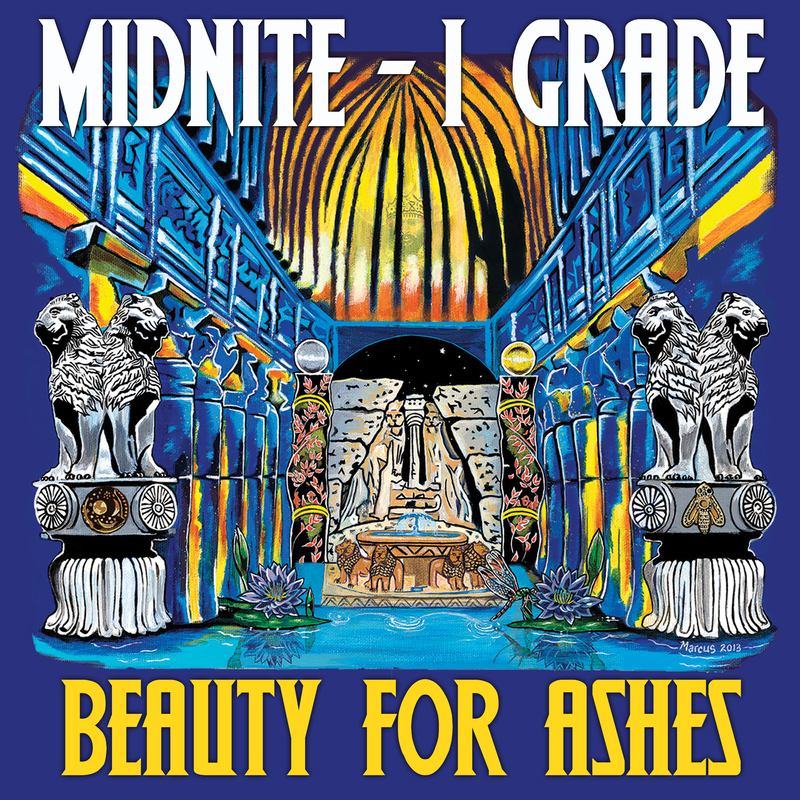 But the bright horns and strong melodies lighten up the set and these two key ingredients make Beauty for Ashes one of Midnite’s best and most accessible albums to date. To get a feel of the album, check this promo mix by Major Lazer’s Walshy Fire. The list of reggae artists hailing from the U.S. Virgin Islands is long and seems to get longer for each and every year. 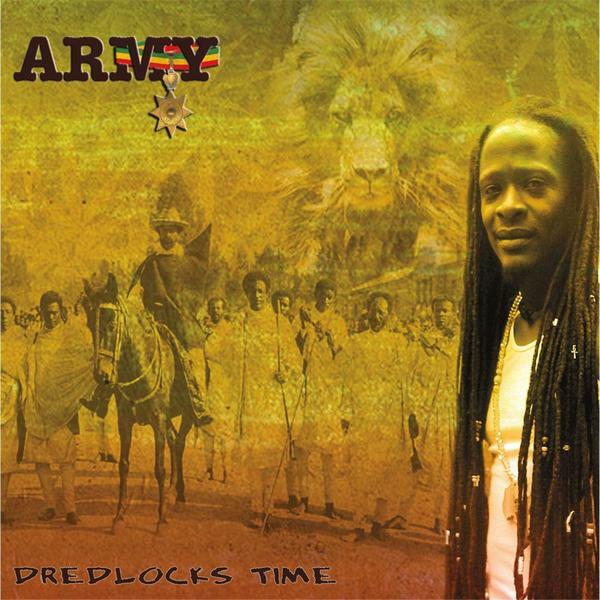 Army – a former soldier, saxophone player and one of the scene’s veterans – has recently put out his fifth album Dredlocks Time, a set produced by himself and Higher Bound Productions with mixing magic courtesy of illustrious producer Tippy I of I Grade Records. Army is not one of the most well-known artists coming from this group of islands, but he has been remarkably consistent over the years. As many other reggae singers he started his career as a little youth in the church choir. Acclaimed producer Dean Pond helmed production on his 2000-released debut album Yesterday’s News, a set re-released a few years later. This new 15 track set is a prime example of VI-reggae. The riddims are original, the tempo is slow, the mood is eerie, the lyrics are conscious and the atmosphere is meditative. Army’s voice is soothing and the harmonies are set to a minimum. There is however a short detour from the VI-reggae recipe. On There is Life the tempo increases and the hip-hop flavored riddim is bouncy and electronic, on an album that’s mainly based on live-instrumentation, including some very nice horns arrangements. Today Army has relocated to the U.S. mainland, but he has kept the VI reggae scene close his heart. Jalani Horton is lead singer and front man in Bambú Station. Bambú Station are part of the thriving reggae scene on the U.S. Virgin Islands. Earlier this year they put out their fourth full-length album Children of Exodus, a set packed with bubbling rhythms and conscious lyrics. I had the opportunity to talk to Bambú Station’s Jalani Horton. He’s a praised and gifted lyricist as well as front man and lead singer in the band. We talked about the new album, its references to Bob Marley & The Wailers’ Exodus and why he is determined to make a change in the world. Check the full story over at United Reggae. Eleven years ago renowned singer Dezarie dropped her highly acclaimed debut album FYA. Her album and enchanting voice broke the male dominance on the booming U.S. Virgin Islands reggae scene. Now another strong female singer has stepped out of the shadows. 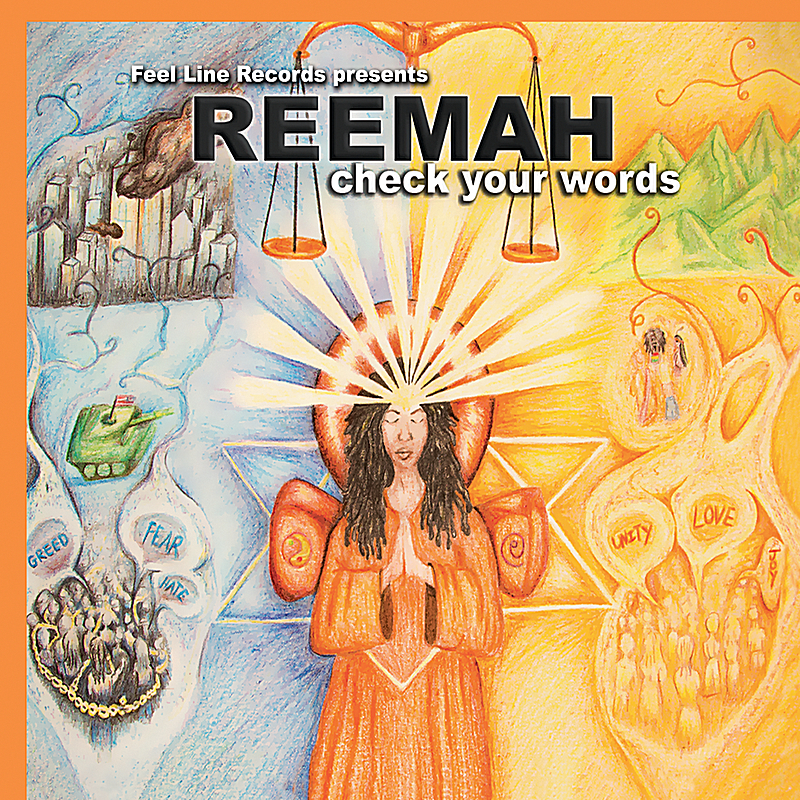 Reemah was born on the island of St. Croix and was first heard on Chance to Grow, a duet with Bambú Station on their album Break the Soil released in 2006. It was followed by her self-financed promotional EP No Questions, and in July 2012 by her rootsy debut album Check Your Words. The similarities with Dezarie are apparent. Both have conscious, spiritual and uplifting messages and sing with strong confidence and nerve. Check Your Words based on live backing with a jazzy horn section and is mainly produced by Kedroy “Catalyst” Mitchell, a former keys player in Bambú Station. Three cuts were also produced by Tippy I from I Grade Records and two by Jalani Horton from Bambú Station. This trio of producers have meant a great deal to this mature and promising debut album. 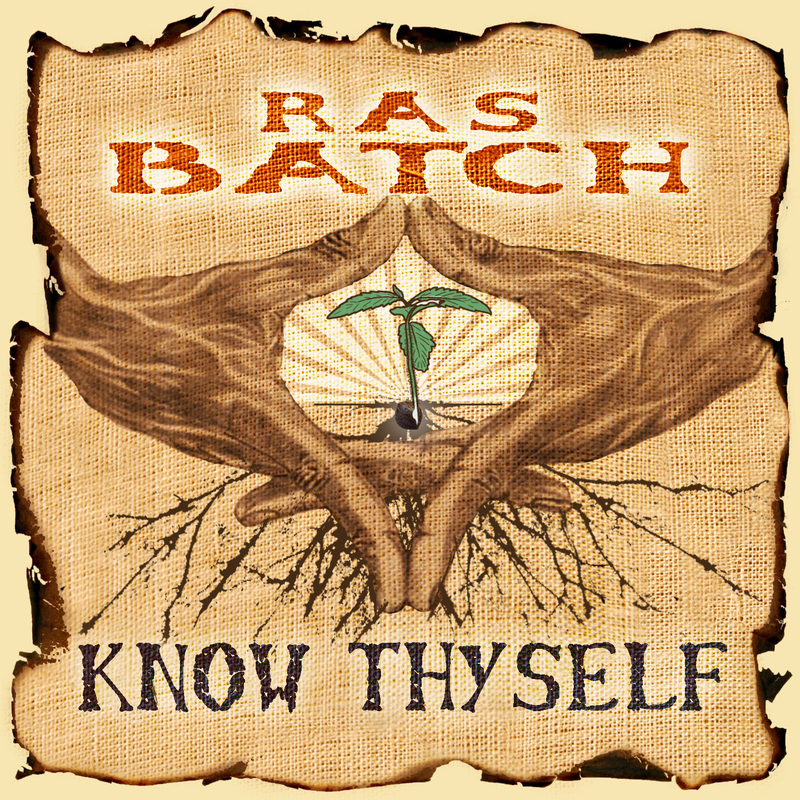 On Ras Batch’s seventh album Know Thyself he has teamed up with producer Laurent “Tippy I” Alfred from I Grade Records and the Zion I Kings, adding Andrew “Moon” Bain from Lustre Kings and David “Jah D” Goldfine from Zion High Productions to the team of arrangers and producers. Ras Batch is a prolific figure in the rich and vibrant Virgin Islands reggae movement, and has via his label Sound V.I.Zion Records released albums from himself and others. Apart from running a label he is also a producer and a musician playing drums, keys and bass. Know Thyself is an organic and crisply produced set with a handful of already classic Tippy I riddims, and includes Jamaican musicians Leroy “Horsemouth” Wallace on drums, Dean Fraser on saxophone, Andrew “Bassie” Campbell on bass and Earl “Chinna” Smith on guitar. Song titles such as Give Jah Thanks for Life, Trees and Dem Against Jah Rules tell of a strictly conscious affair dealing with topics such as religion, slavery, love and unity as well as environmental issues. Ras Batch is a powerful exponent of contemporary roots reggae and has an honest and soaring tone in his voice. He occasionally lacks pitch control, something he makes up for in sincerity and emotional intensity. Highlights include album opener Jah Children, something of an ode to nyabinghi drumming, Live Pray with its instant and memorable guitar hook courtesy of Chinna Smith and the first single Together, with a positive and infectious sing-a-long chorus. Ras Batch might not be as well-known as fellow VI artists Pressure and Midnite, but with the rich and emotive Know Thyself he might be able to tell the world his story and put his name on the map. Know Thyself is now available on CD and digital download. The U.S. Virgin Islands’ thriving roots rocking reggae scene have produced several great talents in the past ten years with trail blazers Midnite and their front man, singer and lyricist Vaughn Benjamin leading the way. Bambú Station is another powerful band from the same group of islands. The band’s founder, lead singer and lyricist Jalani Horton hails from St. Thomas, and was in 1999 joined by bass player Andy Llanos and guitarist Tuff Lion. Their debut recording was Amadou Diallo, a heartfelt tribute to the Guinean immigrant who died in a hail of police bullets in New York City 13 years ago. 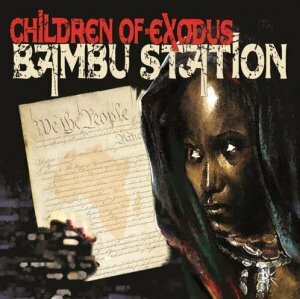 Children of Exodus is Bambú Station’s fourth full-length studio album, and follows their six years old Breaking the Soil. The album has the same laid-back atmosphere and is full of bubbly and natural riddims mesmerizing the listener. Jalani Horton’s singing is accompanied by beautiful and well-arranged harmonies that uplift his mostly tough themed and insightful lyrics. The album contains 16 cuts, of which two are short interludes and one a two minute tale of Bambú Station’s vision and mission set only to bass and percussion. The partly acoustic All We Have is the most alluring moment of the album and sets a perfect tone to a bonfire at the beach. The Virgin Islands offer way more than the relentless roots from Midnite, and Bambú Station is a great example of the many mighty talented musicians coming from this musically blessed group of islands. Children of Exodus is currently available as digital download and CD. Vaughn Benjamin is front man and lead singer in Midnite, a group that has been instrumental in shaping a new genre within in reggae music called VI-reggae. They recently released their latest album Kings Bell, their first set together with an Jamaican producer and with several prominent Jamaican musicians involved. I got a chat with Vaughn on the phone about messages in music, his inspirations and why he allowed the group’s first music video. Read the interview over at United Reggae.